I vividly remember my early writing days. I had just quit my day job in favour of working fulltime as a freelance writer. Though I was excited to begin this new chapter of my life, excitement wasn’t all that I was feeling. With each passing day, I grew more and more anxious and unsure about the direction I was taking. What if I don’t land a single paid writing opportunity? What if clients hate my writing style? What if I’m just not good enough? I knew I was dealing with the biggest naysayer in my life, my own self-doubt. Fast forward to today and self-doubt continues to be a silent companion that springs out of nowhere, just as I begin working on a new idea or writing task. According to Oxford Dictionary, doubt means a feeling of uncertainty or a lack of conviction. In its simplest form, doubt is the nagging voice of our own conscience that when overtaken by fear, causes us to lose faith and trust in our abilities. Doubt makes us say – NO, I CAN’T instead of YES, I WILL. When self doubt raises its ugly head, it makes us crash and fall even before we’ve had a chance to fly. Fear of criticism, rejection and not matching up to other writers and their success can seriously make us doubt our writing abilities. Doubt has the uncanny ability to wash out those little sparks of excitement we feel inside of us, replacing it with feelings of insecurity, apprehension and a lack of confidence. And if not tackled and controlled in time, doubt can persuade us to not just postpone our goals but also completely give up on them. Even though self-doubt is exhausting, infuriating and self-depleting, it is a perfectly normal emotion. If you have been struggling with self-doubt, know that you are not alone, not at all. 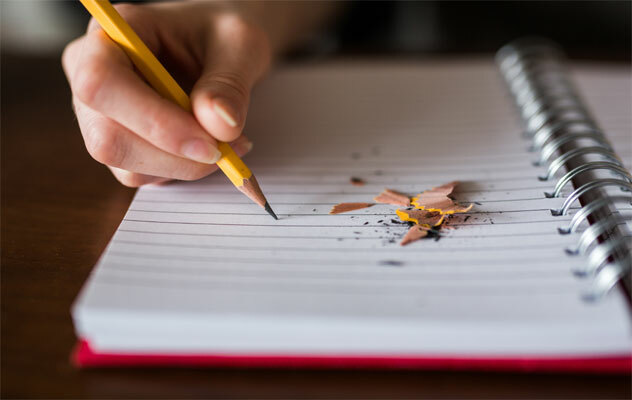 All writers, no matter how experienced, celebrated or successful they may be, deal with writer’s block and writer’s doubt throughout their writing lives. What you need is the ability to accept that you are fearful and embrace the feeling of uncertainness so you can turn it into your strength and become a better writer. DID YOU KNOW? A little self doubt can actually be a good thing as it helps to keep us grounded and stops us from becoming over-confident. Doubt forces us to practice more, learn more and write more. So the next time you’re feeling doubtful, just breathe and know that you’re okay and all is not lost. Tell yourself that you’re a writer and you have what it takes to make your writing dreams come true. There is nothing more intimidating for a writer than staring at the whiteness of a blank screen. The blinking cursor adds to the weight of expectations and demands a creative outpour. And just like every other writer, I have had to deal with my share of self-doubt. 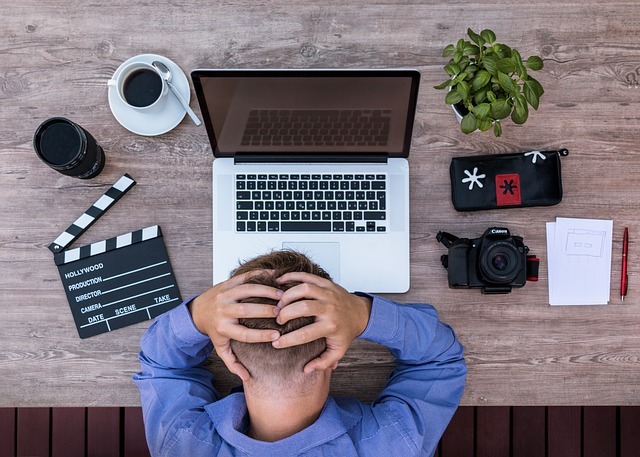 On many occasions, I have felt so overwhelmed by client expectations and writer’s block that I have completely doubted my ability to deliver work within the client’s deadline. Low motivation days make it so much harder to consistently publish high-quality content on my blog. Guess what? Despite recurring self-doubt, I have always met client deadlines, delivered high-quality content and (almost) always published new blog content (as per plan). Combating writer’s doubt is achievable. If I could do it, not once but so many times, you can do it too. The moment you start hearing the raucous sounds of your inner critic, know that you are dealing with a classic case of self-doubt. Here we go again. I’m back to doubting myself (which is perfectly okay). After all, I’m a Writer and writers doubt! Acceptance is the first step to overcoming self-doubt. When you greet apprehension with acceptance and understanding, you’ll be able to deal with it constructively instead of letting it get the better of you. Embrace doubt as an inseparable part of your writing life. Take away its power over you! When your inner critic starts acting up, take a break. Sit in a relaxed position, breathe deeply and feel the pressures of self-doubt reducing its hold on you. Now that you’re reasonably relaxed, remind yourself that you have a deadline to meet, a project to complete or a goal to accomplish. And in order to tackle this task well, you need to feel inspired. Spend the next few minutes doing things that you enjoy – read your favourite book, listen to music, go out for a walk or visit a blog that you like. 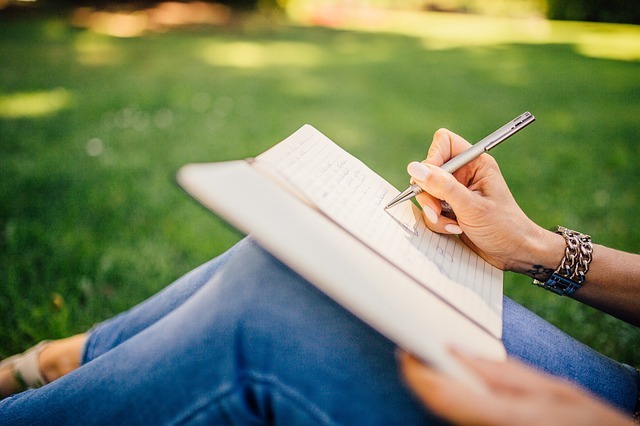 Don’t be surprised if in these few minutes, you’re able to come up with some interesting ideas that inspire you to start writing! When you are at peace and in-sync with your surroundings and your goals, you are bound to feel more motivated and inspired to create. Your writing life is beautiful, creative and fulfilling. Don’t let momentary self-doubt rob you of your writing success. The best antidote for self-doubt is to face it head-on and begin doing exactly what you’re doubtful about. Remember, everything seems impossible till it’s DONE. So whether you’re feeling the pressure to write a winning landing page for a client, struggling to complete that all-important e-book or unsure of the direction you’re giving your dream novel, allow yourself to continue writing. Don’t stop, even if you feel what you’ve written so far is dreadful. When your inner voice says, I CAN’T DO THIS, repeat to yourself – OF COURSE, I CAN. I WAS BORN TO WRITE! And while you’re at it, stop aiming for perfection. Stop comparing your work with other writers. It’s simply a waste of time. Your voice is unique – celebrate it. Slowly, you’ll notice that you’re gaining clarity of thought, that things are falling into place and you’re nearly reaching the finish line. When you start doubting your abilities and feel discouraged by self-doubt, you voluntary give up your winning streak. Self-doubt is a party pooper of the worst kind. It can force you to put on your PJ’s & call it a night when in reality, you’ve got what it takes to get up, dress up & rock that dance floor! The next time you feel the enormous weight of apprehension and self-doubt pulling you down and forcing you to procrastinate or quit, take a walk down memory lane and refresh your memories of all your past victories and accomplishments. Look at your best work; go through feel-good emails, positive comments from your readers and client recommendations from your previous clients. Pat yourself on the back for how far you have come as a writer. The past can be a great teacher. Turn to it to boost your morale and gain the much-needed confidence to continue writing. These four steps help me stop doubting my abilities and motivate me to get more accomplished. I hope they motivate you too! Do you face writer’s doubt? What do you do to stop doubting and start writing?